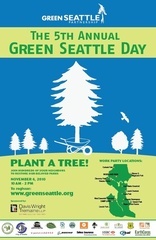 Plant a tree for the annual Green Seattle Day in your woods! The Green Seattle Partnership has selected Cheasty Greenspace/Mt. View as a site for this great, citywide, tree-planting event! Save the date and come over to Cheasty Greenspace/Mt. View (one block west of the Columbia City Light Rail Station) on Saturday, November 6 from 10am-2pm. 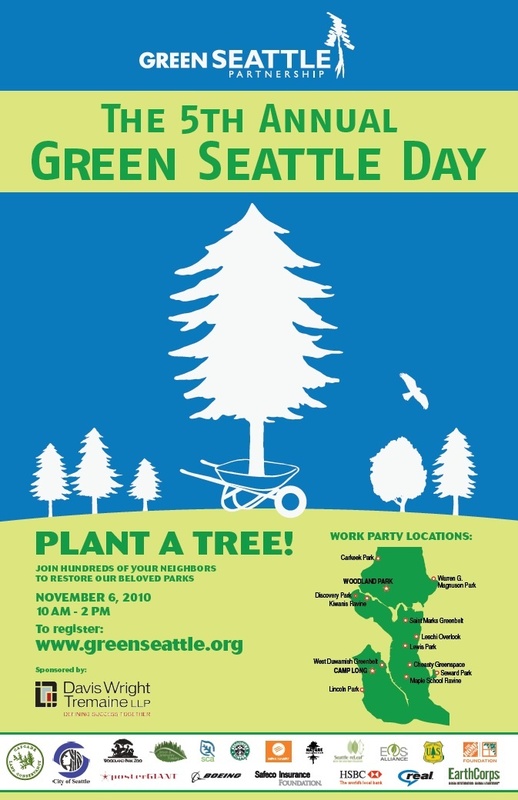 We need your help to plant 200 donated trees as part of the City's Green Seattle Day, a day dedicated to planting trees in our urban parks. Cheasty Greenspace/Mt. View is one of 14 city parks selected for this great event! Bring your family and have your kids name their very own tree that they can visit year after year…and register by clicking this link.